With 40 years of industry experience and more than 10 years in business in Buffalo, Mr. Magic Auto Detail Service started in Denver, Colorado, in 1975. In 1995, we relocated to New York and have been settled into our current Kenmore location since 1999. As experienced professionals, we know you can count on us for swift, thorough, efficient, and honest service every step of the way. With our years of experience, we know the secrets that will give your products and vehicles that new-car appearance. Contact us today to find out what we can do for you. Full auto detailing services include hand washing services and top-to-bottom auto detailing for dealers, auction cars, trucks, and motorcycles. Our interior cleaning services include carpet cleaning, upholstery cleaning, and shampoo services. 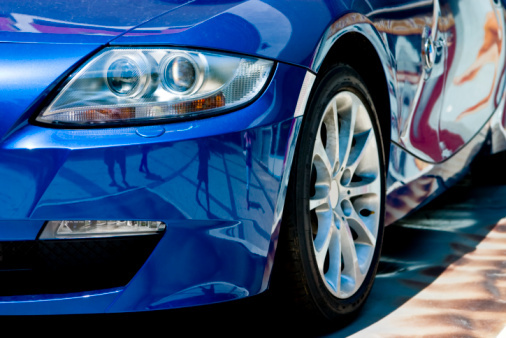 Many of our services involve finish work for body shops, including color sanding, wet sanding, the best polish job around, and waxing services. Call us for more information about this service. Specializing in hand washing services for the best detailing results, our services include engine cleaning, complete detailing, polishing, waxing, filling, and complete interior shampoos. Contact our car wash today for pickup and delivery services in the local area!